Raw Mango Juice - A wonderful drink in summer. This is a simple tangy juice made with raw mangoes . 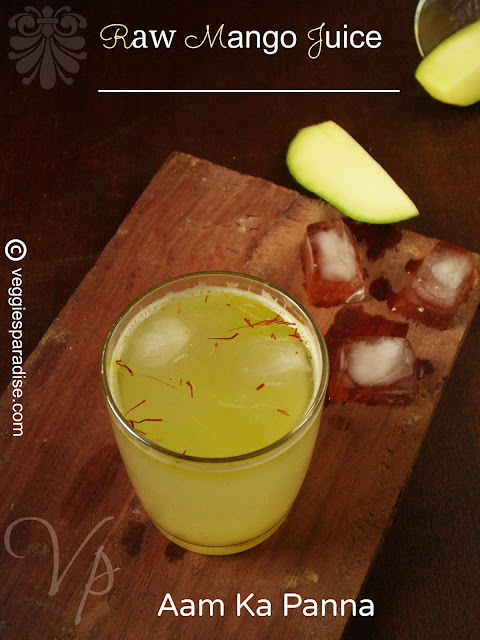 Vitamin- rich and energizing, this drink is sure to set you up for the day.Serve ice-cold to quench a summer thirst. Peel the mango. Chop roughly, taking care to cut around the stone. Place the flesh in a pan with 1 1/2 cups of water and bring to boil. Reduce the heat and cook until the mango is pulpy. Remove from heat, allow it to cool and whizz in a blender until smooth, strain it though a fine strainer. Add the remaining ingredients and return to the heat. Cook for few more minutes until the juice turns slighlty thick and the sugar gets dissolved completely. Cool and store it in fridge. wonderful drink,wish i could grab the cup,so tempting. 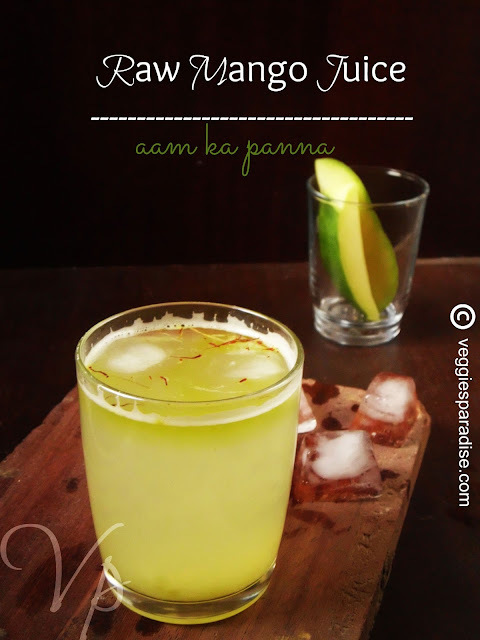 Refreshing drink,perfect for summer and inviting clicks.. Delicious drink perfect for summer heat. Very refreshing Summer drink, lovely thrist quencher. 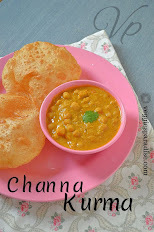 It is a new site in which users vote recipes from 1 to 10. We would love that you participate with some recipes. Lovely clicks & love this drink anytime.